'offers not only that breakfast for the mind we keep hearing about, but lunch, tea, dinner, supper and non-stop snacks...offers a cornucopia of accurate and succinct knowledge that would be hard to equal' (Peter Green, Washington Times about the third edition). provides coverage of Greek and Roman history, literature, myth, religion, linguistics, philosophy, law, science, art, archaeology, near eastern studies, and late antiquity. and Greek words have been translated to ensure ease of use. 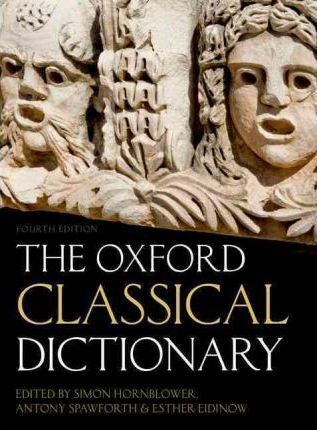 Under the editorship of Simon Hornblower, Antony Spawforth, and Esther Eidinow, a huge range of contributors have revised and updated the text, which has made an already outstanding work even better. Esther Eidinow is Lecturer in Ancient Greek History at the University of Nottingham. Her publications include Oracles, Curses, and Risk Among the Ancient Greeks (OUP, 2007) and Luck, Fate, and Fortune: Antiquity and its Legacy (I.B. Tauris, 2010).